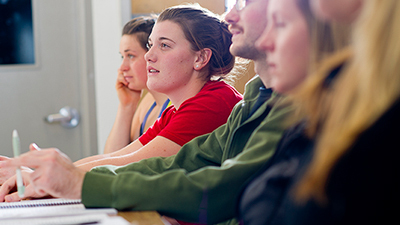 The Faculty of Rehabilitation Medicine is the only free-standing rehabilitation faculty in North America. 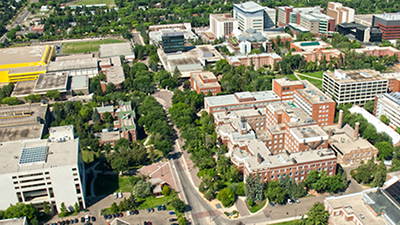 Our satellite campuses in Camrose and Calgary make us a successful model of Campus Alberta. 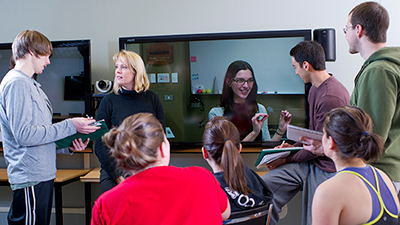 Our departments consist of the Departments of Physical Therapy, Occupational Therapy and Communication Sciences & Disorders. We are a research leader in the following areas: musculoskeletal health, neuroscience, aging and rehabilitation technology, among others. 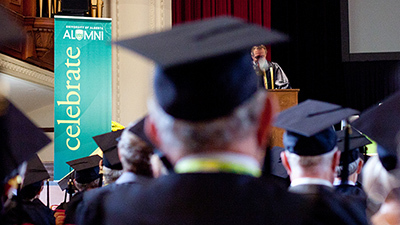 To date, the Faculty boasts over 6,500 alumni. The voices of mothers with intellectual disabilities from minority cultures in Quebec, Canada through narrative inquiry. Secondary analysis of the Canadian Incidence Study of Reported Child Abuse and Neglect (CIS-2003) core-data. Browse through selected projects and publications with a focus on supporting parents with an intellectual disability. Feel free to contact us for access to further reports or publications. The number of children referred for protective services who have a parent with cognitive impairment is thought to be increasing. There is however a dearth of information about these parents and children and their involvement in the child protection system. In this study we investigate prevalence and outcomes for children of parents (biological and other parents) with perceived cognitive impairments in cases opened for child maltreatment investigation in Canada. One aim is to identify factors that heighten risk and predict outcomes in these challenging cases. This information is sorely needed to inform prevention and early intervention policy and practice and in turn, improve the life chances of this growing population of children. A gulf exists between the rights and the realities of parents with intellectual disabilities. The UN Convention on the Rights of Persons with Disabilities affirms the right of persons with disabilities to marry and found a family. Moreover, in Article 23, states are bound to take effective action and appropriate measures to eliminate discrimination and render appropriate assistance to persons with disabilities in the performance of their child-rearing responsibilities. The brutal reality however is that parents with intellectual disabilities rarely receive appropriate assistance and many have their children taken from them by child protection authorities. This book examines decision-making in child protection and court systems. Applying the discourse ethics of the contemporary German philosopher Jürgen Habermas, the author finds that with respect to parents with intellectual disabilities and their children, the process is anything but just. The first international, cross-disciplinary book to explore and understand the lives of parents with intellectual disabilities, their children, and the systems and services they encounter. It presents a unique, pan-disciplinary overview of this growing field of study and offers a human rights approach to disability and family life. It's informed by the newly adopted UN Convention on the Rights of Persons with Disabilities (2006) and provides comprehensive research-based knowledge from leading figures in the field of intellectual disability. Who are Parents with Learning Difficulties?